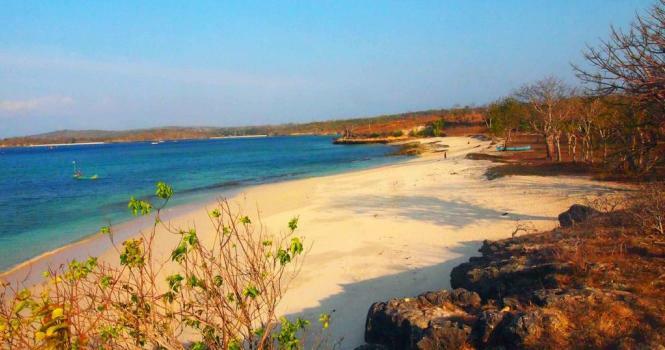 Surga beach is one of the favorite tourist spots are located at the end of a secluded bay on Lombok island, precisely in Jerowaru district, East Lombok and adjacent to the Ekas bay. Surga beach was very famous for its unspoiled beauty as untouched age from all sides, so it is not wrong if the beach called Paradise Beach (Surga Beach). Owned shoreline isn’t very long range is only about 600 m and with a U-shaped loop that is covered by white sand. Because the shoreline are not too long, you can explore the coast until satisfied. The beauty of the beach is more complete with the beautiful background of hills and rocks are very charming in its left and right sides, coupled with the beautiful scenery of palm trees swaying in the breeze, will certainly make you linger at the beach. 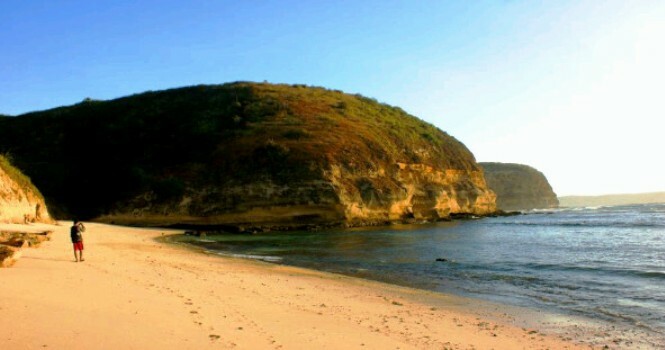 In this beach you can perform various kinds of water activities such as walking among the beach, Swim or surf. If you love adventure, then you can enjoy the beauty of Surga beach by climbing one of the hills which is located on the right side beach which only takes about 15 minutes to get to the top of the hill. At the top of the hill, there is a Berugak that you can use as a place to sit back and relax while enjoying the beautiful scenery of Surga beach. One of the main attraction of this beach resort is owned waves are complete and very hunted by surfers. Here you can find all kinds of waves from regular to height waves. The perfect time to visit this beach is from June to October, because in the waves on Surga beach will be very fun and very challenging course for the conquered. The access into Surga beach is the most adequate, but arround 5 km before the beach isn't good the rainy season is rather difficult to pass, and vice versa during the dry season will be very dusty.